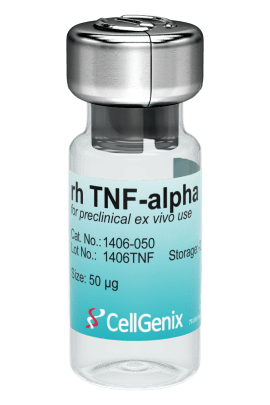 CellGenix Recombinant Human TNF-α reliably stimulates the maturation of immature dendritic cells (DCs). 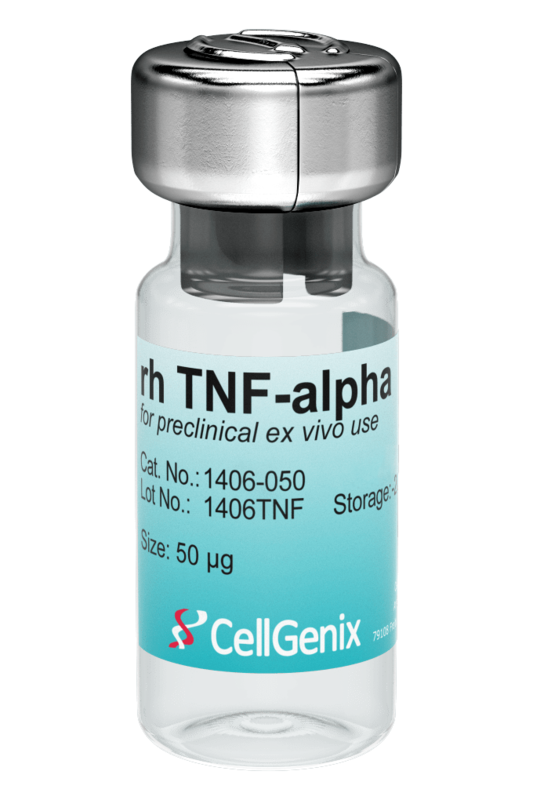 CellGenix rh TNF-α is produced in our dedicated animal-free facility ensuring maximum safety for optimal use in ATMP manufacturing. Tumor necrosis factor alpha (TNF-α) is a cytokine that plays a central role in inflammation, immune system development, apoptosis, and lipid metabolism. It is mainly produced by monocytes and macrophages as a response to infection, injury, or tumor burden. TNF-α can also be produced from a range of other cell types such as T cells, natural killer cells (NK cells) and neutrophils.  CellGenix TNF-α is used in the cell and gene therapy space for the ex vivo maturation of immature DCs. 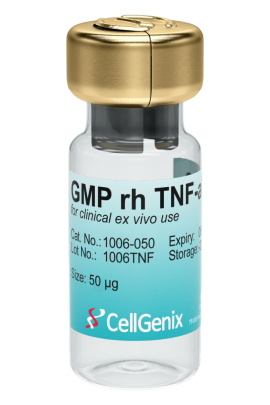 CellGenix GMP Recombinant Human TNF-α is produced following all applicable GMP guidelines and allows for the safe use in accordance with USP Chapter <1043> and Ph. Eur. General Chapter 5.2.12. 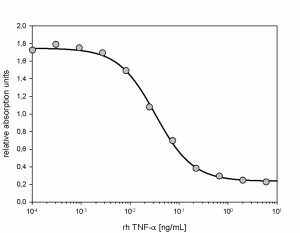 The activity of GMP rh TNF-α was measured in a cell cytotoxicity assay using L929 cells. 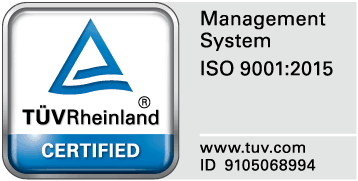 It was calibrated against NIBSC #88/786.